Maple hardwood floors seem to be taking a larger market share in San Diego these days. Why not? These beautiful richly grained hardwood floors provide a very elegant grain structure, a unique style of staining, and can be easily scrapped to provide a rich worn look. These design options can provide varying style elements which make them very popular with today’s designers and can also be very affordable which make them very popular with many General Contractors. 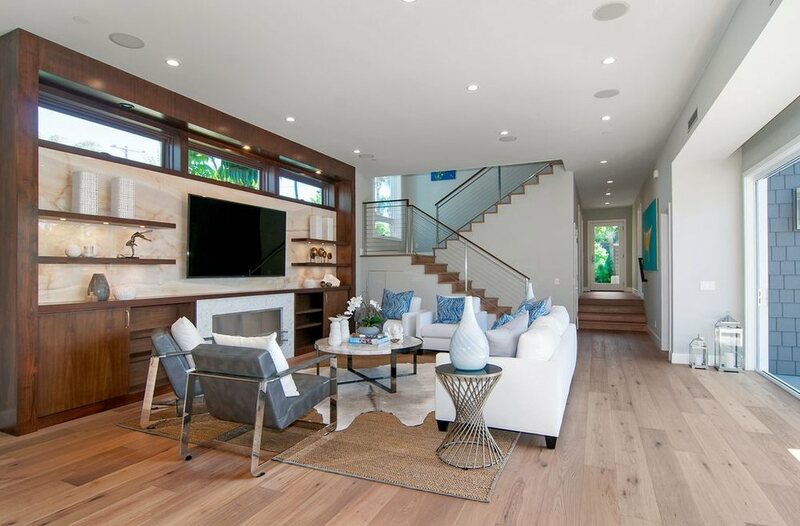 One of the most appealing aspects of maple hardwood floors in San Diego is that they can be used to create a design style that lends to our more casual laid back atmosphere, or it can be used in the smooth sand and finish appearance to lend to a more sophisticated elegant natural look. Maple hardwood floors are often used as a large part of the overall atmosphere of a room and can provide a great core flooring to blend with most furniture styles. Maple hardwood floors are certainly one of the greatest investments that one can make in any home in San Diego. Of course there are many different qualities found within every manufacturer of hardwood flooring and finding the right blend of quality and price may be best left up to the experts. There are often times when maple may not be your best selection if your floor is not going to be cared for properly. There is also the fact that maple hardwood floors have the potential to wear and tear over time as they are actually only mid way up on the hardness scale. Nevertheless, the beauty of maple hardwood floors is always going to be there, you just want to do a little home work to be sure that you have selected the best style that will gain the greatest results for your particular situation.